Climate Kids: Water, Please. No Lemon! Adding lemon juice to water increases the water's acidity; adding carbon dioxide to water will also increase acidity. The effects of the carbon dioxide acidification of ocean water from burning fossil fuels are discussed and images of some of the organisms adversely affected by that acidification are included. 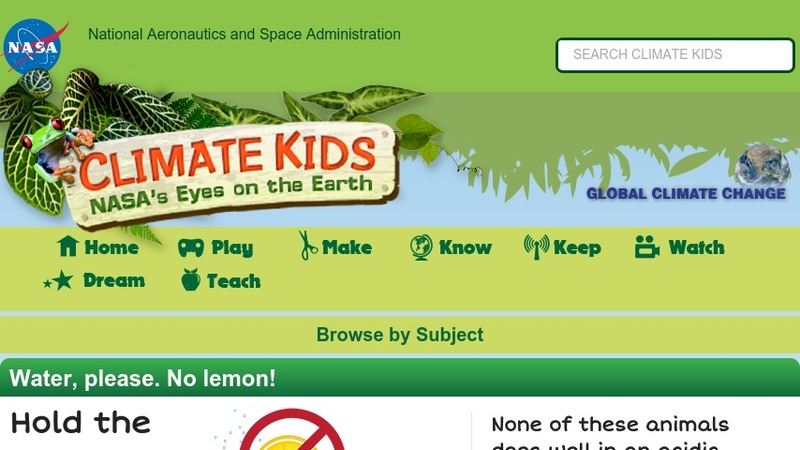 This article is part of the Climate Kids website, a NASA education resource featuring articles, videos, images and games focused on the science of climate change.